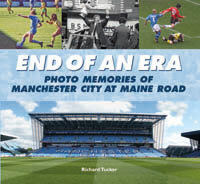 After their exploits at United and in the Semi-Final a tired City were not at their best in the game against Wigan and it must have been one of their worst home performances of the season. 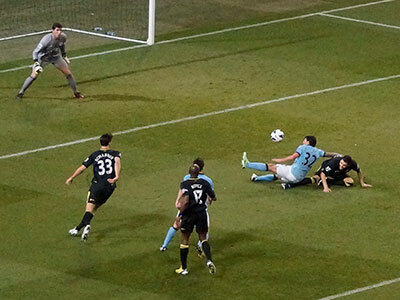 They were saved by a wonderful piece of magic by Carlos Tevez who scored a terrific goal late in the game. 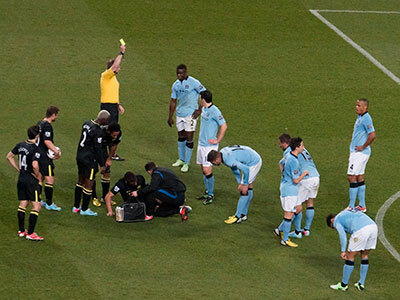 Wigan played well and at least deserved a point as they often out passed City and but for a good save by Hart and a block on the line by Lescott they would have taken the lead much earlier in the match. 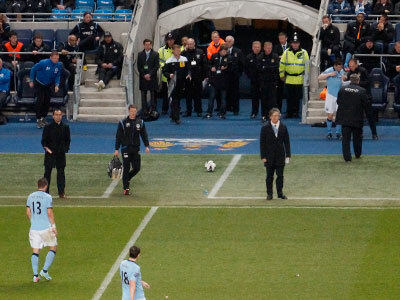 Apart from the Tevez magic moment there was little for City supporters to shout about. Some of the passing was woeful but I don't know how much the gusty wind had to do with it as often passes from both sides were well off target. 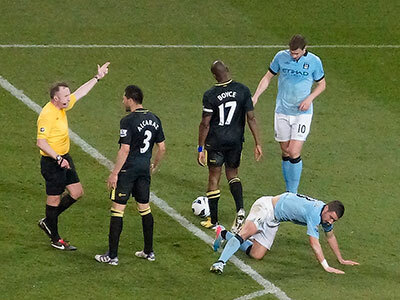 Aguero went off at half time and with a vital game against Spurs coming up I hope its not the previous injury returning. 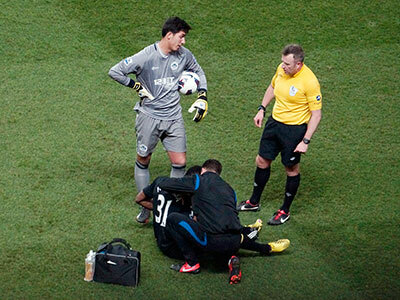 We badly miss Silva and we rarely troubled the Wigan keeper. The much changed defence just about coped with the Wigan attack and I suppose we must be grateful for the three points as United only drew at West Ham. 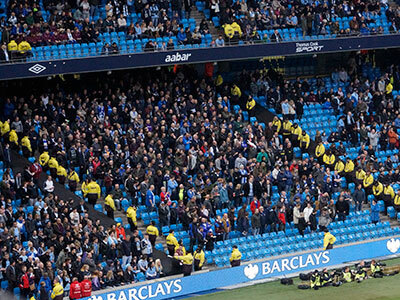 Let's hope City are better when it comes to the Cup Final against Wigan. Good to see Richards back from injury. 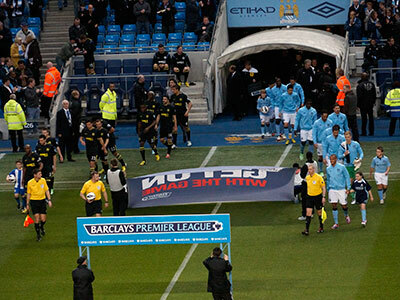 City made several changes bringing in Richards, Lescott and Kolarov into defence. 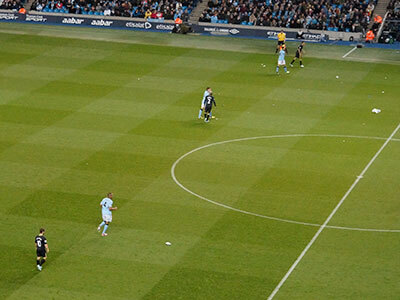 Zabaleta deserves his rest Tevez and Aguero led the attack. 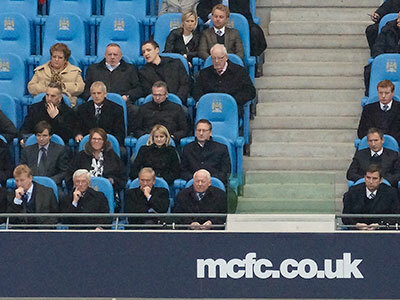 Wigan had only a small number of supporters at the game- barely a pier full! 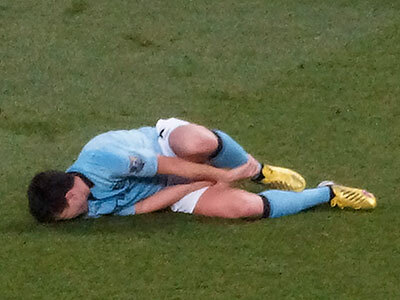 Oh dear the hidden sniper has got Nasri! 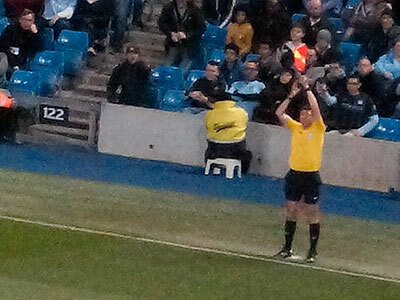 ...but all the time the linesman had his flag held high for offside! 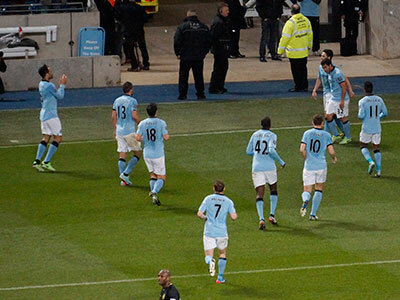 The City players are quite pleased with that effort I guess ! !